Teeth that are stuck are impacted teeth. It can be a complete impaction covered by bone and gums. This is suspected from the missing tooth in the mouth or strange tipping and angulation of its neighbouring teeth. We can confirm this via X-ray investigations. When the adult teeth is impacted, its partner baby tooth may overstay longer than expected because the adult tooth cannot push it out. 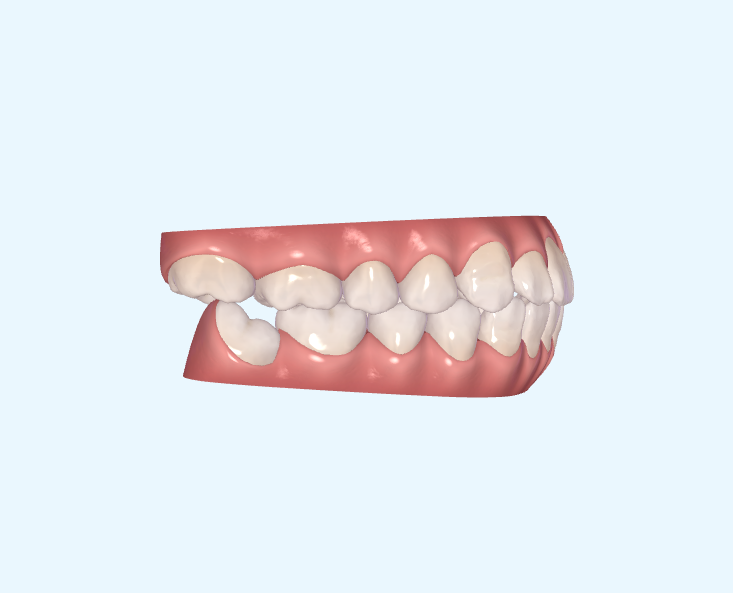 A partial impaction is a stuck tooth that is partly covered by gums and partly buried underneath. It sticks out at an odd angle or jammed underneath neighlouring teeth. Impacted teeth are often sites where food gets stuck and increases the risk of tooth decay and gum disease. Other risks include root resorption of neighbouring teeth and cystic changes. In young childen, early diagnosis of an impacted adult tooth allows an Orthodontist to apply Interceptive Orthodontics and formulate solutions that prevent problems from snow balling into bigger issues in future. If you suspect your child has this problem, bring them in early. Do not wait till all the baby teeth drop out. It might be too late by then.